Russian state conglomerate Rostec is ready to expand its cooperation with the Turkish Ministry of Industry and Technology and Minister Mustafa Varank in 2018, Anadolu Agency (AA) reported Wednesday. According to Viktor Kladov, the director of international cooperation and regional policies at the Russian state-run defense company, Rostec has "long-standing and mutually beneficial relations in various industries" with its partners in Turkey and they are "glad to be of help in the development of the Turkish space industry." Rosoboronexport, a part of Rostec which exports military products and services, also aids in the international development and production of spacecrafts for many countries, Kladov said. "We are absolutely sure that Turkey will be successful in this sector as well, and we look forward to working with them," he said. "Rostec has a wide range of competencies and extensive experience in the development of the space industry, and we are open to expanding and strengthening cooperation in this area," he added. 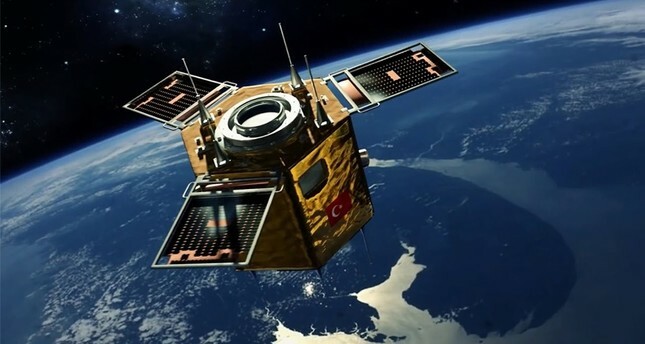 Back in 2014, with the participation of Rosoboronexport, the Turkish satellite Turksat-4A was launched. Rostec has actively been introducing advanced technologies for various areas of space exploration. The engines, produced by the United Engine Corporation, which is a part of Rostec, put Soyuz launch vehicles into orbit. Another Rostec company --Technoceramica -- produces life support systems for pilots and astronauts, including the space suit "Orlan-ISS" and the latest "space" parachute system. Optical developments from Shvabe -- another Rostec holding -- are used to probe the earth's surface from satellites. Rostec's RT-Chemcomposite company creates unique composite materials that can withstand extreme temperatures and heavy loads. Rosoboronexport, also a branch of Rostec, can offer partners unique complex projects, as was the case for the sending of the first Malaysian cosmonaut Sheikh Muzsaphar Shukor to the International Space Station in 2007. Rosoboroneksport helped put in orbit more than 30 spacecrafts from 14 countries, including the U.K., Germany, Italy, China, Norway, Sweden, the European Sapce Agency.